FourThirtyThree Games isn’t exactly the big-name developer you’d expect to be behind an in-depth action game based on the DC Universe, but that’s exactly what they’ve done with their newest title, DC Unchained. 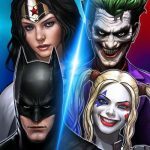 Following releases such as Battle Boom and Monster Super League, FourThirtyThree is now bringing your favorite DC superheroes and supervillains to iOS and Android devices alike. 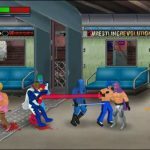 This game is all about exciting battles and missions where you can assemble teams of three heroes, villains, or both (out of up to 30 unlockable characters, with the option to form multiple teams), complete storyline campaigns for both alignments, and team up with, or compete against players around the world if you’re looking to explore the game’s social features. Previously, we shared with you a list of DC Unchained tips and tricks which you can employ if you’re just starting out in the game, but as you should know if you’re reading this guide, this is a particularly deep and full-featured title that has a lot of features, a lot of different mechanics to remember, and more game modes than what you can find in most other games in the genre. That’s why we’re moving on to our next DC Unchained strategy guide, where we offer some tips that may be of most help if you’re somewhere between player level 2 and 3, which would make you an intermediate player who’s likely mastered all of the basics. Take note this has nothing to do with the different tiers in the Guide feature, as some of the tips we’ll be focusing on here are tackled in the beginner tier of DC Unchained’s in-game Guide. Although you’ll definitely want to unlock all the characters in the game, it’s going to take a while to do so, and we would suggest not worrying too much about characters, as the ones you get in the early goings (Harley Quinn, Ocean Master, The Flash, etc.) should serve you well. But you’ll eventually want to go beyond the ones you started with, and since character unlockers are so scarce, we suggest thinking long and hard and making sure you’re unlocking a character whom you’re fully committed to. You may have been wondering about the Family Cards you received when you first installed DC Unchained — how do you use them anyway? At first, we thought that these can be used to unlock characters, though as the above tip clearly states, you’ll need to use a completely different resource for that. Family Cards come in silver or gold, with the former referring to common upgrades and the latter referring to the more powerful ones, and they’re used to upgrade your characters’ special skills. You can win these cards in a number of ways — by completing certain campaign stages or Unchained stages, via daily rewards, achievements, or the Guide — and if you don’t get actual cards, you can earn Family Card Tickets, which allow you to choose the family you’ll be receiving cards for. Currently, there are six families in the game — Batman, Wonder Woman, Superman, Aquaman, The Flash, and Green Lantern — with five combined heroes and villains corresponding to each character’s DC Comics series. 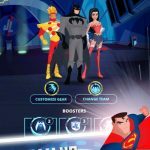 That means if you receive Batman Family Cards, you can use them to upgrade the skills of characters such as Batman, The Joker, or Harley Quinn, but not for characters like Superman or Lex Luthor. When choosing families with your Family Card Tickets, be sure you’re focusing on the families of your current characters, though it wouldn’t hurt either to plan ahead, e.g. collecting cards for the Green Lantern family, for instance, even if you haven’t unlocked anyone from that group at the moment. 3. About Covers – What’s In It For You? Covers are another resource which you can earn through the aforementioned game features and modes, and you may initially think of them as cool visuals, as they represent actual comic book covers. But they can actually improve your characters’ stats, with the effects all depending on whatever stats the corresponding character has at the time. It’s going to cost you some coins to “produce” the cover, though thankfully, you wouldn’t have to spend much — only a thousand coins, based on what we’ve seen thus far. As you will get some covers among your introductory rewards, we also advise you to choose wisely, and choose covers that belong to the characters you’ve already unlocked. There’s no sense, after all, in choosing a cool-looking cover for a character whom you’ve yet to unlock in the game. As fun as it is to play DC Unchained, you wouldn’t want to keep playing consecutive stages, especially with the same set of characters. That’s one reason why you have a maximum of five three-character teams for Heroes, Villains, and Alliance — once you’ve collected enough characters, which may take a while to achieve, you’ll have the luxury to switch from one team to the next while going through Story Mission Mode. But while you don’t, it’s best to take a breather from time to time, and let your characters’ stamina recharge automatically. You’ll probably have tons of Stamina Potions in the early goings, thanks to the introductory rewards, and you can definitely use those to expedite the resting process, but you may also want to save them and not go overboard on them. Winning more rewards by progressing further in Story Mode is great, and grinding will sometimes be necessary for your newer characters, but give your superheroes and supervillains a break from time to time! As a bonus tip, we’re not too sure if this is the case, as the game hasn’t warned us about it just yet, but based on our early observations, reduced stamina has the effect of making characters slightly less effective in battle. As you keep making progress in DC Unchained, you’ll earn more Valoriums, and as we mentioned in the beginner’s strategy guide, they can improve your heroes’ stats by providing crucial buffs or other forms of statistical improvements as long as they’re equipped. As such, it’s important to upgrade them, especially if they’re of the rare variety, which should mean more visible stat upgrades once equipped on a character. You’ll need Refined Mineral in order to perform these upgrades, and while you can earn this as a reward in some mission stages or for completing achievements, among other ways, the Valorium screen allows you to earn more Refined Mineral in a completely different way — by dismantling any Valoriums you don’t need. Just choose any one of your Valoriums, and if you decide that you’d like to dismantle them, simply choose the Dismantle button on the left side, pay the small fee of 100 coins (for the common ones) and you’re set. This is something that’s quite easy to overlook in DC Unchained, especially if you’re still in the early stages of the game, where every stage is a walk in the park, and easy enough to complete while on Auto mode. But you’ll also want to take note of the enemy’s character types, and those of yours. The game has three types of characters based on affinity, and the hierarchy is based on rock-paper-scissors logic, as it often is in such games — Power beats Speed, Speed beats Energy, Energy beats Power. It should be easy to recognize each character’s affinity when looking at them on the Family screen or right before the start of a Story Mission level, but it may be a bit harder when looking at enemies. You will, however, be able to recognize their affinity by looking at the symbol right above their heads. Tag in a character whose affinity is above theirs in the hierarchy, and you should have an easier time winning the battle. Battles in DC Unchained can be won on your own — of course, the Story Mission Mode features AI enemies, while Unchained gives you the option of using your own three-character team, or teaming up with other human players to give you an easier chance at defeating the enemy. While there’s nothing wrong at all with overlooking the game’s social features, it’s still far more recommended to join or form a guild. We would recommend joining one, because it will cost you a whopping 500,000 gold in order to form one of your own, and you’ll also need to be at player level 4 in order for you to do this. As always, you want to look for those active guilds with a lot of members, as opposed to the ones that only have a few. You can choose on whether the guild prioritizes individual play (i.e. your success is based on what each member achieves in solo play), teamwork (cooperation with others), PvP (self-explanatory — based on your success in PvP battles), or active guild participation. The benefits of joining a guild are quite plentiful; aside from being able to team up with your fellow human players in certain game modes, you can also win some rewards that otherwise wouldn’t be available if you decide to play the lone wolf and try to complete the missions/unlock all characters by yourself. Going back to the topic of Family Cards for a bit, you’re also going to need them for another important task in the game — ranking up your characters. As each character reaches a certain level — for example, level 10, where they can move up from D-grade to C — you’ll be able to move them from one rank to the next, which results in a rather significant increase to their stats. The game calls this the most efficient way to make your characters better, but in order to rank up a character, you’re going to need some Family Cards for that. Again, you can only use Family Cards that correspond to your character’s group for ranking them up! This wraps up our latest guide for DC Unchained. If you know any other tips or tricks for the game, don’t hesitate to drop us a line in the comment section!